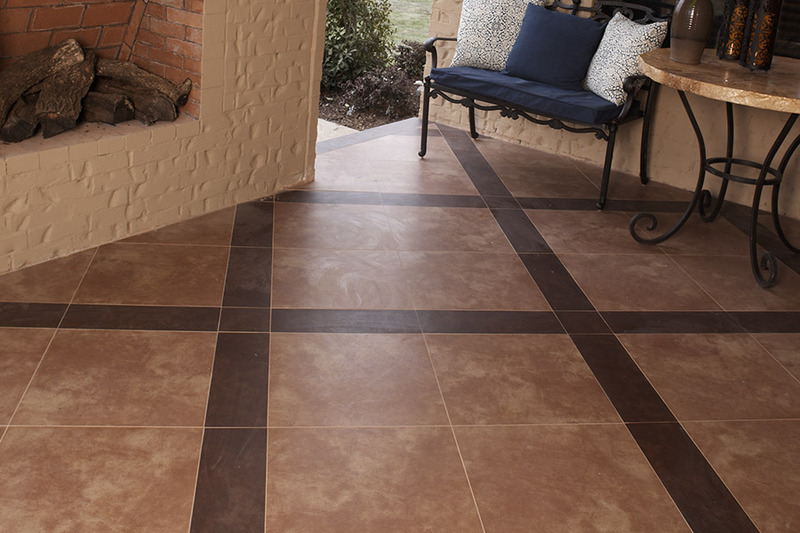 Ceramic & porcelain tile are truly an elegant choice in flooring, no matter where you choose to have it installed. It brings to mind palaces floors from centuries long past, as some of the most regal buildings in the world opted for tile for their floors. Today, it’s just as successful in creating the look of royalty, while possessing properties that make it beneficial for every homeowner. Chances are, this floor covering can meet most, if not all, of your own needs and preferences as well. The Carpet Man Indy is based out of our Indianapolis, IN showroom, from where we serve the areas of Marion County, Hancock County, Hamilton County, Shelby County, and Johnson County. As a family owned and operated flooring store, we bring more than 25 years of experience to your flooring project, no matter how big or small. With highly trained and experienced sales staff and installers, we put your total satisfaction in first place from the time you walk into our showroom until the time you’re walking on your own newly installed floors. Stop by and see us today. 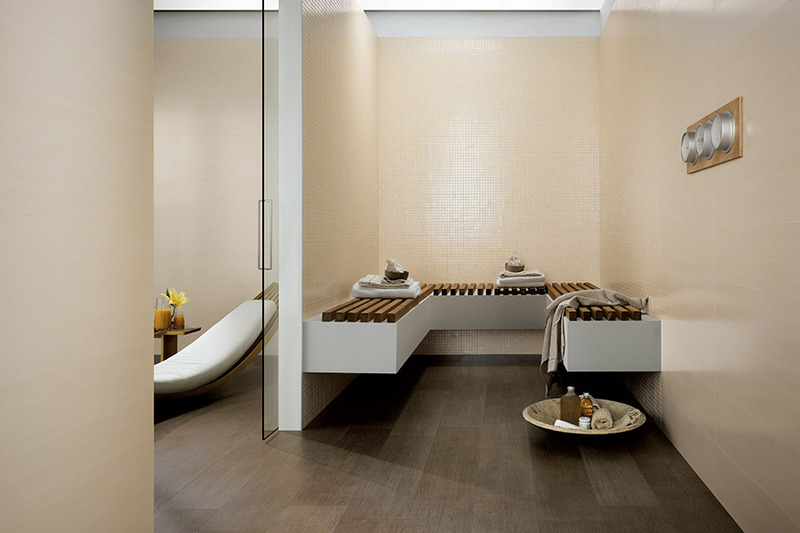 As beneficial as it is gorgeous, tile could easily be right at home in any room. From bathrooms and shower stalls, to kitchens, and even to bedrooms and studies, there’s no doubt that this material is a truly versatile one. The waterproof functionality gives these materials the opportunity to fend off moisture, humidity, and spills, giving you as much peace of mind as you might expect. At the same time, it’s durable enough to stand up to some of the heaviest traffic you could expect to have in your home. In any situation, it seems to always present itself as beneficial and trustworthy, and that’s a house guest you could easily grow fond of. For decorating purposes, ceramic & porcelain offer something for everyone. 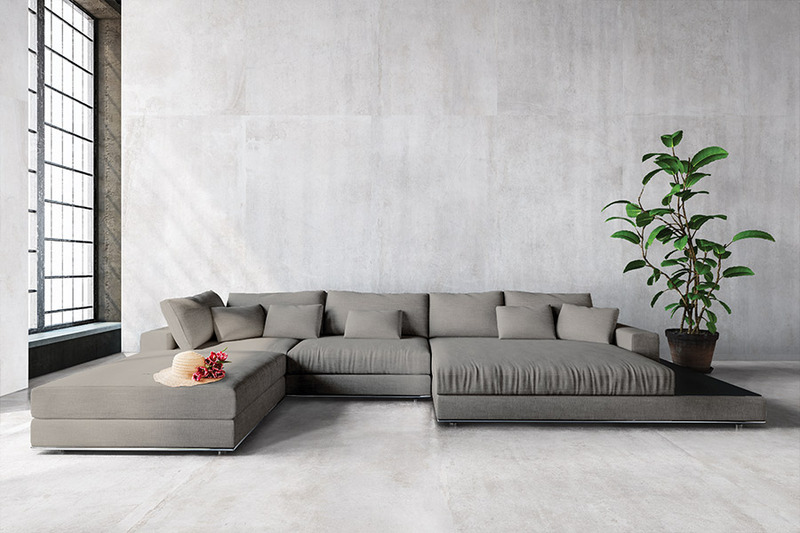 For the homeowner who desire a minimalist scheme, porcelain offers an all-natural look that fits in with just about anything. You can even hand pick each tile to make sure you get exactly the look you desire, and nothing less. On the other hand, brightly glazed ceramic offers you the option to design a solid color floor scheme, or go as far as intricate patterns and mosaics, with tile sizes as small as a postage stamp. Tile has been a popular choice for homes and commercial facilities for centuries. They are natural products fabricated from clay and stones and are available in unglazed and glazed versions. Today, tile is offered in a full spectrum of beautiful colors, designs, patterns and textures that are a far cry from their plain, mono-colored predecessors. Tile materials offer diverse benefits such as being waterproof, impervious to stains and easy-to-clean on a regular basis. They are also resistant to scratches and damage and rarely crack or break unless something heavy is dropped on them. 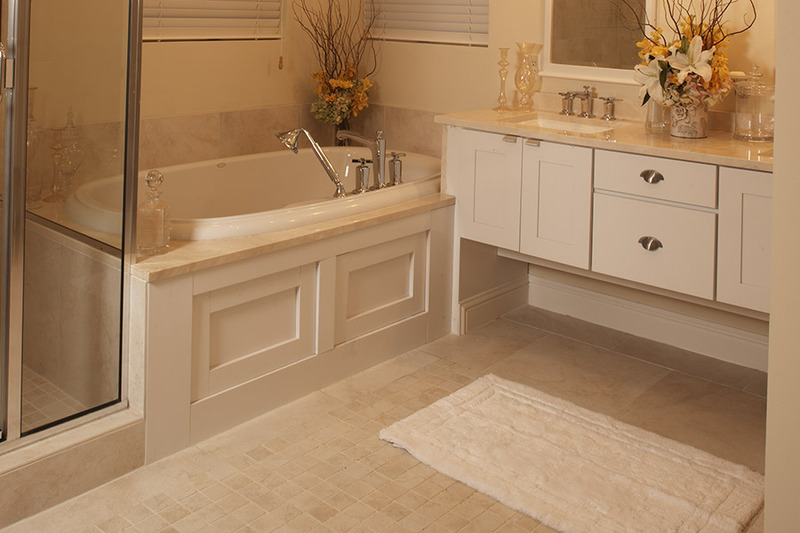 The primary applications for tile include flooring, shower surrounds, countertops and walls. Of course, they are especially well suited for use in the kitchen, bathrooms, washrooms and any other location where water is splash, spilled or possibly leaked. Travertine - A kind of limestone that features unique patterns and composition. It has one-of-a-kind of looks and can be extremely beautiful. Ceramics - These are one of the most popular choices and can be had in a wide variety of sizes, shapes, colors, finishes and prices. 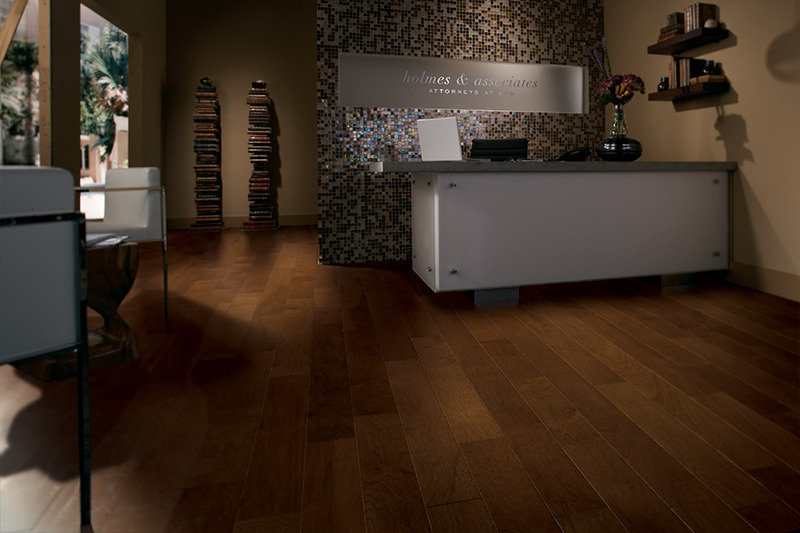 Porcelain - A natural and denser clay product that is a very popular choice for classy-looking floors. Granite – This tile material can easily be recognized by the small flecks on its surface and the richness of its colors. It is glossy and truly alluring. 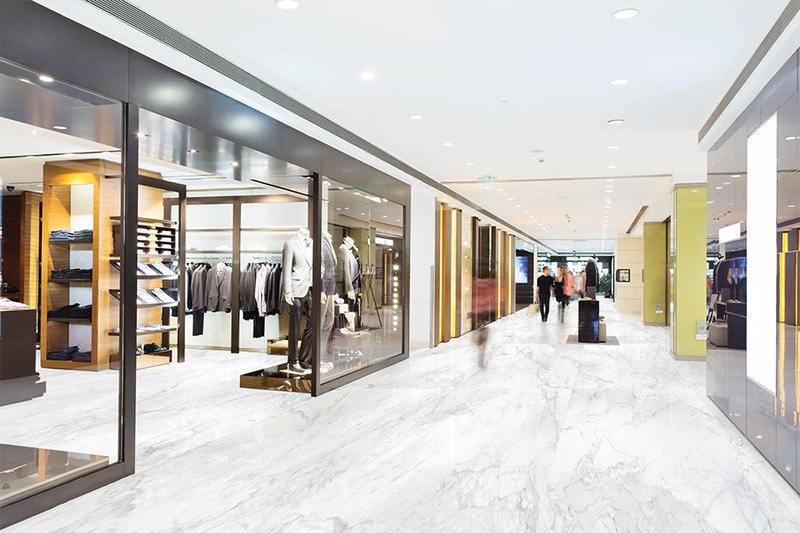 Marble - A highly durable and strong natural stone flooring material mined directly from Mother Nature. It complements and enhances any room and is most popular for kitchen and bathroom countertops. Marble is cut to size from slabs and can be had in any size. The Carpet Man has extensive samples of all of these tiles so that you can view them close up and personally. Stop by our showroom in Indianapolis, IN and meet with one of our tile specialists to discuss your remodeling project.